Samsung's victory in an Australian court was short lived. ZDNet.com.au reported on Friday that, the Australian High Court has now extended the ban on the sale of Samsung's Galaxy Tab 10.1 tablet in that country at the request of Apple so that another hearing in the case can be held later in December. Last week, Samsung got the three judge panel of the Federal Court of Australia to unanimously overturn a previous court ruling that banned the sale of tablet back in August. The original ban was set up because Apple claimed that the "look and feel" of the touch pad for the Galaxy Tab 10.1 tablet was infringing on Apple's patents. Last Friday, the High Court decided to extend the ban once again so that it can have time to hear Apple's appeal of the case. A hearing which will determine whether or not the High Court will actually take the case will be held on December 9. 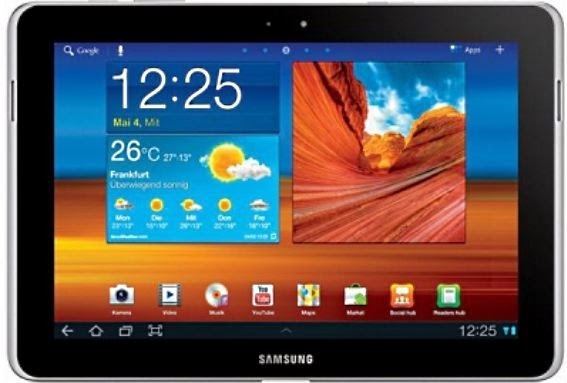 This new decision put Samsung's plans to put the Galaxy Tab 10.1 on sale on hold. It told the High Court that it had planned to start selling the tablet in Australia this week. In a statement, the company said, "Samsung believes Apple has no basis for its application for leave to appeal and will vigorously oppose this to the High Court."